Use this weapon wisely and you can raise your game to a whole new level. Win matches in three short sweet games against the same opponents that in the past forced you into tight long drawn out battles. Strategy is such an inherent and important part of this incredible game-squash and the drop shot is an integral piece of an elegant winning strategy. 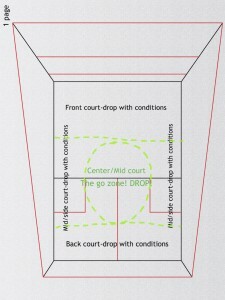 Great length and width into the back court will gradually push your opponents T position progressively deeper and deeper eventually to the point where your deep shots become ineffective-you will in fact simply be hitting the ball straight back to your opponent; however, use drop shots effectively and you will capitalizing on the space and the openings that your deep game has created you. 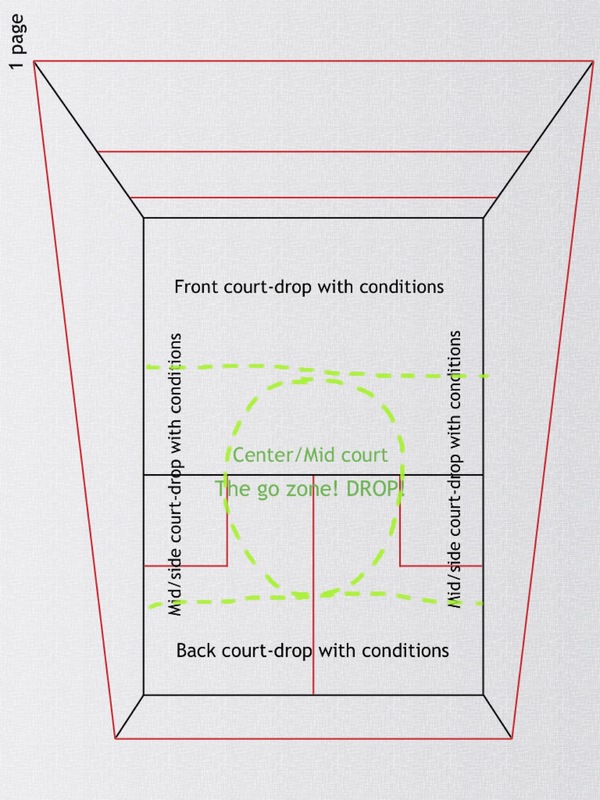 Lets break the court into sections (See diagram) and discuss where best to play drops from and the conditions that should dictate your decision to drop or not. Most importantly your opponent is behind you-if you don’t see your opponent then play your drop-he is behind you! We have covered the Drop Shot–When and Why our next piece will cover the technique and types of drop shots that can be used from each location. Strong technique will keep your drop tight and above the tin even in your toughest matches.